Scott Hanselman is a Microsoft programmer, stand-up comedian, and author. And now, he is a philosopher of computer iconography. The bane of his existence? It's the Icons whose real world analogues no longer exist. Here are five of the worst offenders. For the rest of the list, be sure to visit Scott's blog. 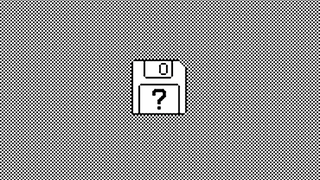 What happens when all the things we based our icons on don't exist anymore? Do they just become, ahem, iconic glyphs whose origins are shrouded in mystery? Does your TV have "rabbit ears?" What other icons do we use while the original inspiration fades into obscurity? Note: If one of these icons is yours let me know and I'll link to your site. I found all these and haven't been able to attribute all of them.